A recent research article written by Prof. Young J. Kim and his colleague proposed a very fast geometric algorithm to be able to solve a complicated collision and contact problem, known as penetration depth, for both rigid and articulated, graphical models. 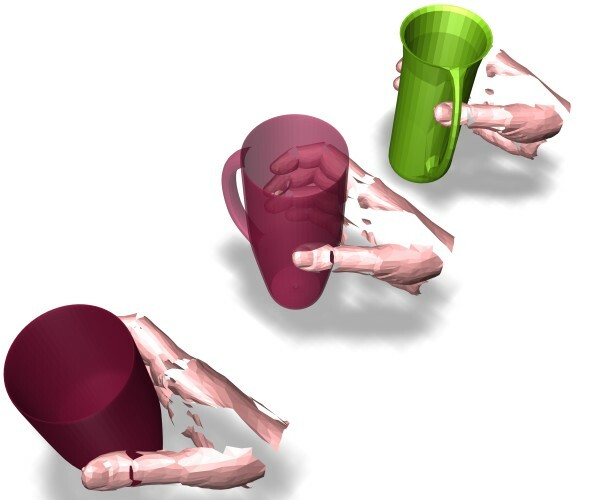 The penetration depth is defined as a minimal rigid motion to separate two overlapping models, and arises in diverse computer-based simulation including physically-based animation, robot motion planning and computer haptics, where numerical errors are often unavoidable and thus invalid collision configurations (or model overlap) can occur during the simulation. This collision phenomenon makes a planned robot motion or a computer-animated result physically-invalid, and is known to be very challenging over the past three decades in the fields of computer graphics, robotics, and computer-aided design. In the article, Prof. Kim’s group proposed a new distance metric called “generalized penetration depth” for articulated models, such as a humanoid robot or a human character, to efficiently tackle penetration depth as well as an efficient algorithm to compute it. They also demonstrated that the proposed algorithm for generalized penetration depth is also applicable to intelligent robotics such as robot motion planning or six-degree-of-freedom haptic rendering, so that the algorithms have diverse applications besides computer graphics. This work was also presented in ACM SIGGRAPH (Special Interest on Computer Graphics and Interactive Techniques) 2014 and IEEE WHC (World Haptics) 2013, both of which are top-tier academic conferences in the fields of computer graphics and computer haptics. Figure 1. Penetration depth can be used to find a valid contact pose for hand grasping. Figure 2. Penetration depth is used to find a valid collision-free pose in robot motion planning. Here, a humanoid character moves from the red pose to the green pose without creating collisions with obstacles in the environment. Interactive Generalized Penetration Depth Computation for Rigid and Articulated Models using Object Norm.